Molly Cerep is a Junior at Mansfield University where she is pursuing a Bachelor of Music Degree in Vocal Performance with a Minor in Biology. She is the President of Sigma Alpha Iota Delta Phi, an international music fraternity. She has competed in the National Association of Teachers of Singing Competition, winning the Musical Theatre Category. Molly had the honor of being chosen to be a performer for a Rob Fisher Masterclass. Molly is a member of the Mansfield University Concert Choir and Chamber Singers. 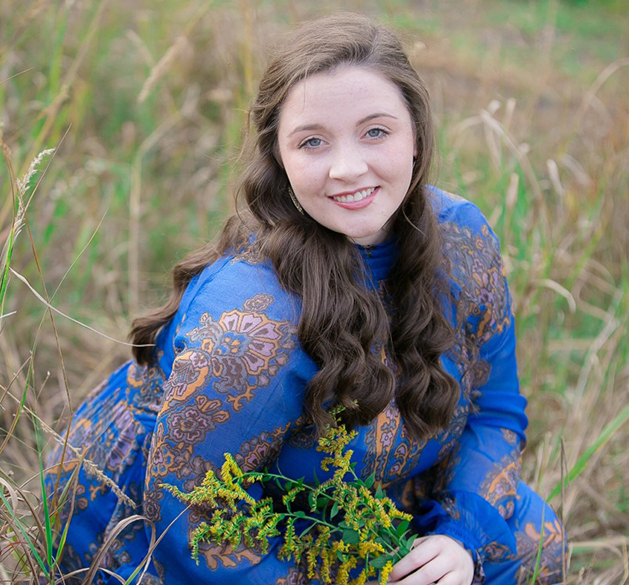 With the Concert Choir, Molly has traveled the U.S. and completed a European tour by winning multiple gold medals in the Harmonie Festival International Choral Competition in Limburg, Germany. She has also performed at Carnegie Hall twice, most recently in a One Night Only, star-studded performance of Bernstein’s Candide. Her love for dance, music and musical theatre began locally at the Green Ridge Youth Theatre and Linn McDonald School of Dance where she remains a teacher’s and production assistant. Molly is a also an intern at the Creative and Performing Arts Academy (CaPAA) where she has served as stage manager and production assistant for various productions. She currently performs with the Mansfield Opera Company, Mansfield University Theatre Company, and the Arcadia Theatre where she will play the role of Old Lady this fall in Sunday In the Park with George. She is a Holy Cross High School graduate, a cantor for Mary Mother of God Parish and has participated in the Choral Society of NEPA’s Cantare Chorus, PMEA Chorus Festivals, Arts Alive and Pa Arts Institute (PAI). Molly’s future plans are to continue to perform while attaining a doctorate in Vocal Performance/Vocal Pedagogy.